I launched the Community Heroes Awards as a celebration of the hard work and dedication many across Denton & Reddish put into making the communities we live in great. Nominations were open to the public with over 70 individuals put forward by those who appreciate the work they put into our community. From charity workers, to local historians, all who go above and beyond were thanked by myself, local councillors and constituents across Denton & Reddish. A body of local councillors, one representing each ward across the constituency, narrowed down the nominations and chose one nominee per ward which then went to the final stage of voting, open to the public once again. From the nominations put forward it is clear just how much work goes into the communities that make up Denton & Reddish. It has made me even more proud to be the elected Member of Parliament for this great constituency. 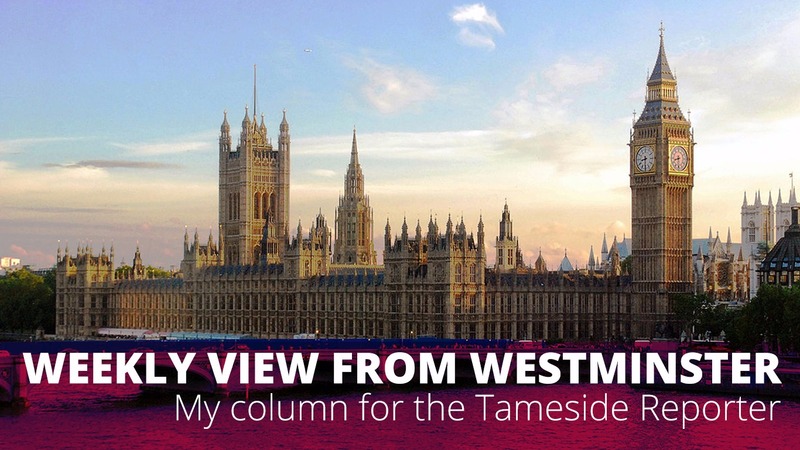 As an MP I campaign for the best for our community, and I will always stand in Parliament for what I think is best for the people of this great constituency – but I cannot work alone. Selfless individuals like those nominated preserve our rich heritage, raise the next generation through youth centres and after school clubs and serve the people who need it most. During this period of austerity, hitting the poorest the hardest – commitment to our food banks, homeless charities, and organisations providing basic items to those who can’t otherwise afford them is something which I feel needs to be thanked from the bottom of our hearts. I will always fight against this Tory austerity to ensure that even the poorest families can afford at least the basic necessities of life. But the reality of the situation is that there are families struggling to make ends meet, day by day, who would be driven out of their homes were it not for these selfless and committed members of our community. In no way is the hard work that goes into making Denton & Reddish such a fantastic community, unique to my constituency. Across the country, thousands dedicate their livelihood to their community. Too often this work goes uncelebrated, and I wanted to make sure that constituents from across Denton & Reddish had the opportunity to thank these selfless individuals and show just how appreciative we all are of their work. I encourage others to thank and celebrate those within their own community who go above and beyond all expectations. It was fantastic to see individuals from across Denton & Reddish thank the hard working individuals who put in so much of their life to our communities. Julie Fisher, Allan Arrowsmith and Margaret Smethurst are three individuals I know put vast amounts of their own time into researching Denton and Audenshaw’s history, and sharing what they find to educate us all, who were all thanked during the awards by being nominated, with Julie and Allan making it through to the final stage of voting. Community organisers were also celebrated, with Alan Jones, Dylan Batt and Janet Ford being some of the many nominated for running local groups to the benefit of our community. Alan has committed himself to improving Denton’s rail links and keeping Denton Station in order by organising a full refurbishment of the station platform, whilst Janet has dedicated her time to organising Dukinfield Carnival, and the preservation Dukinfield Old Hall Chapel by taking an active role in the Friends of Dukinfield group. I’d like to take this opportunity to congratulate and thank the winner of the Community Heroes Award, Maureen Grundy. Maureen runs Haughton Green Young People’s Centre. She’s dedicated herself to giving our area’s young people an opportunity to fulfil their potential and love their childhood by providing a fun youth club and easily affordable school holiday club for the local children of Haughton Green and Denton. With no funding and all proceeds being ploughed back into Haughton Green Young People’s Centre, it has become a truly essential part of the community. 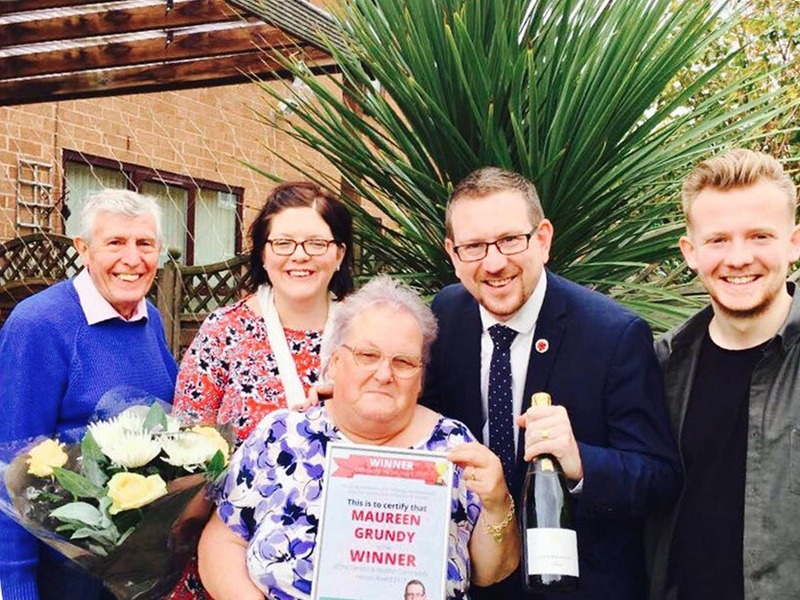 Well done Maureen, you truly deserve to have won the 2017 Community Heroes Award, you are a real community hero that we can all thank and celebrate for making Denton & Reddish the great constituency that it is.